Included are 2 new sliced fruits, and one sliced vegetable. 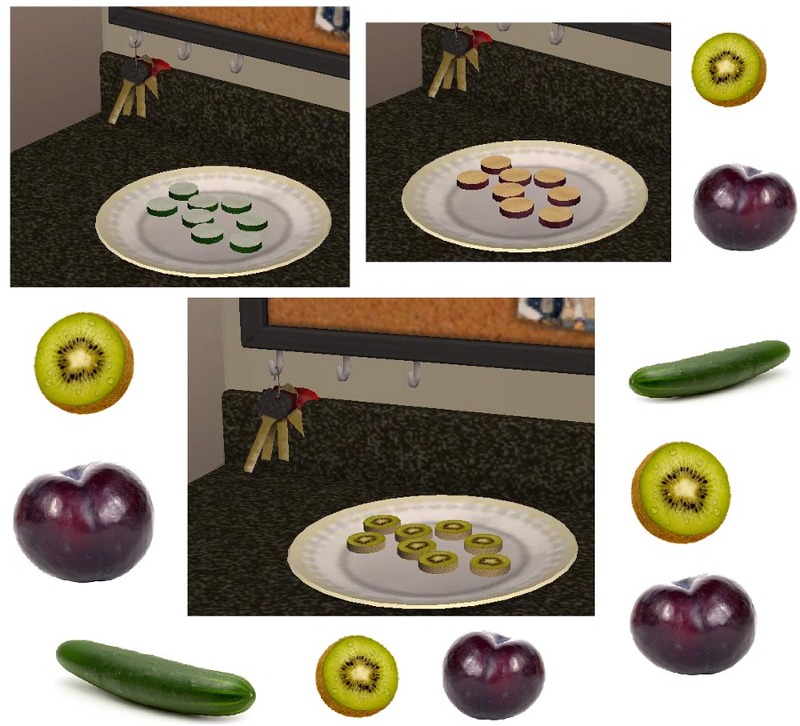 Sliced plums, kiwi, and cucumbers. 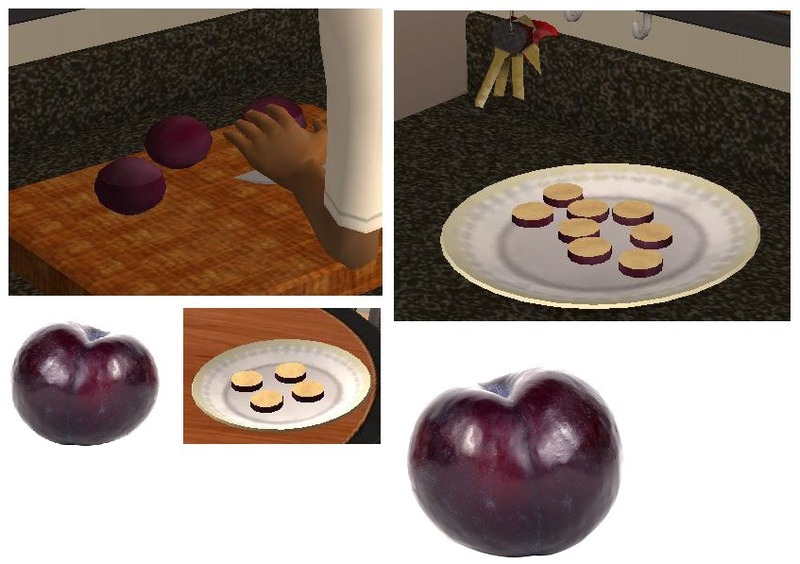 All cloned from chef salad, so sims will pull it out of the fridge, prepare, and serve or eat. All three are available for all meal times. Enjoy! 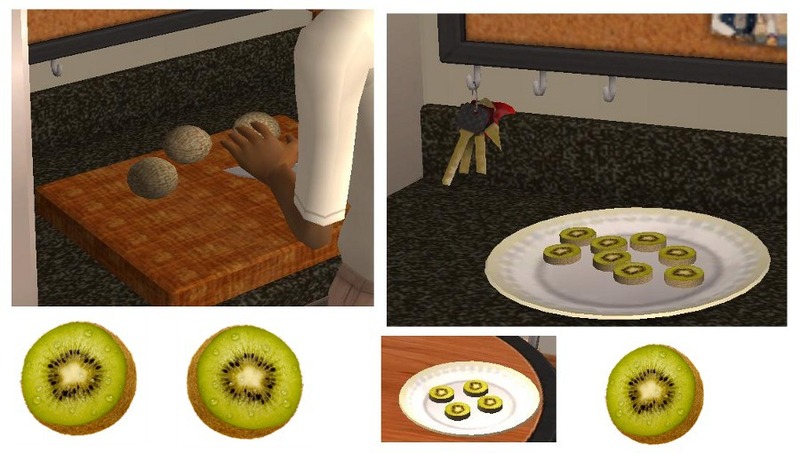 Love the Kiwi, looks so real. Thanks Jon. Another couple of nice meals to add to the mix. Thanks Jon!